The Pet Shop Boys ended up being one of the most successful and, perhaps more importantly, revered of the electronic acts from the 80’s. In many ways the 90’s suited them better than the 80’s as they were able to transition with House, Rave and DJ Culture into something greater than 2 lads hoping for a bit of cash. It almost didn’t happen. Neil Tennant was a career journalist and his boss Felix didn’t really want to let him go to play his silly pop music dream. Luckily after hearing a tape Felix figured it was better to let him go kindly; after all when the band thing fell flat he’d rather be remembered as the good and helpful boss. Good move, good boss. Sorry it didn’t pan out Felix. Neil hasn’t been back as his desk. 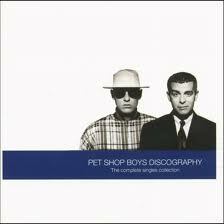 For me my first Pet Shop Boys song was a story book big brother thing. My brother fell in love with West End Girls the moment it was released in Australia and got the single. He flipped the record and there was another song, just as engrossing called A Man Could Get Arrested. That was a good value single. It is funny to look back at moments like that and how they sit. Maybe it wasn’t 100% like that after all. My brother revisited West End Girls when he got into Hi-NRG and heard that Bobby O had recorded the first 12″ version. Maybe that happened before the first 7″ came here, maybe I missed West End Girls entirely and it was Opportunities (let’s make lots of money) that started it for me and it was the b-side that sealed it. Who cares the romance started. It was mostly a romance from afar though as till Very I didn’t own a Pet Shop Boys record. I’d stop what I was doing to listen to PSB on the radio or a tape in someone’s car. I’d play my brother’s single but somehow never bought the record. Very did it for me as I was sorely missing fun music in the 90’s and here was a band that sounded current whilst still having all the things that made a good song for me, melody, lyrics about something greater than their cod and cool, cool, cool. 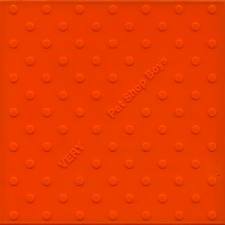 Very is a superb record, from the Lego like cover (yep I got the somewhat ltd edition) with silly hats to the Ann Dudley arrangements that are so simple yet stylish. Arrangements that lift the Disco/House tracks into a place that feels perfect every time. Not classical quite but it could be if it wasn’t so pop. The real kicker though are the songs about living with getting older whilst still living the life of a late teenager, hitting the clubs and bars. Maybe others struggle with this but I was there so the pathos of To Speak Is A Sin take me back to being over-tired & wired in a smoky room with flashing lights and disco music. We tried to convince ourselves we were having fun. We wanted to be somewhere else but now we are we wishing we were back there again. Of course when we go back none of it is there. If you missed the Pet Shop Boys then you missed a whole life, right there and gone. Grab the records and try to see where we were then.